The baker who was forced to sell insurances, then work as photographer, and when that failed due to theft of his equipment he finally tried his luck with a magic lecture tour across the nation and never looked back. 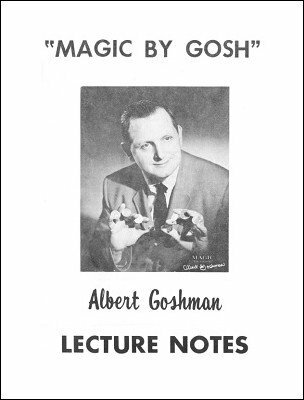 He became a close-up magic sensation. 1st edition 1965, 19 pages; 1st digital edition 2018, 17 pages.